We hold three conferences per year—the Fall, Winter and Owners Conferences. They are held around the country, and in different locations each year. These conferences are all about skills enhancement for all contractor team members including the company owner and key sales, admin and production employees. 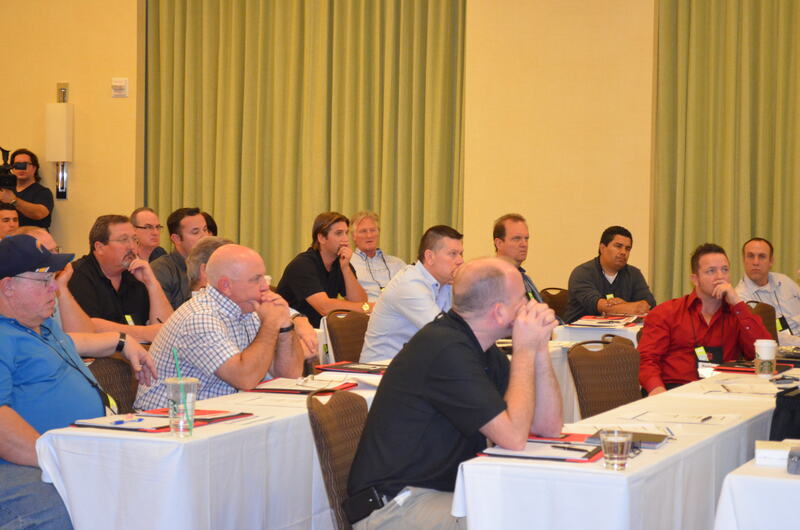 Attendees learn proven best practices that will help every department—from ownership management, to sales, administration, and production. Presenters include members of the network, in addition to invited guest speakers who offer proven concepts and practices to contractors. Conference Sponsorship Packages: Our conferences are our “big events” and our primary sponsorships are Packages designed as Platinum, Gold and Silver. These are fully detailed in the Sponsorship Matrix which can be obtained by contacting us . First, each of these three packages entitles you to identical privileges for that package at all three Conferences. A second important feature of these packages is that each allows you a generous number of FREE REGISTRATIONS for all conferences for your use in bringing YOUR contractors to the event. It can be very beneficial to you to use these. Earn Presentation Time in Front of All Attendees: If you bring a specific number of your contractors to the conference using these free registrations (contractors who are not already CCN members), you can earn the right to address the entire attending conference audience in a presentation at one of the lunches. This is your chance to highlight your company, and tell the attending contractors why they should do business with your company. Conference a la Carte Sponsorships: In addition to our Conference Sponsorship Packages, we offer a range of single item-single event sponsorships. This includes things such as exhibit space, speaker sponsorships, meal sponsorships, etc. These are all listed and priced on the Conference Sponsorship Order Form which can be obtained by contacting us.